You are a lucky dog! We are known for our exceptionally qualified teachers and their commitment to students. Want to learn a bit more about our faculty? Nan Arthur, KPA CTP, is a member of the Karen Pryor Academy Faculty. She teaches the Dog Trainer Professional program. She has been training with positive reinforcement and operant conditioning since 1994, and is committed to using only positive methods with both humans and animals. Through her teaching, Nan opens the lines of communication between species. Nan is also a graduate of KPA's Puppy Start Right for Instructors course and a teacher in KPA's Dog Trainer Comprehensive course. Nan is the author of the popular book Chill Out Fido! How to Calm Your Dog, and regularly contributes to publications. 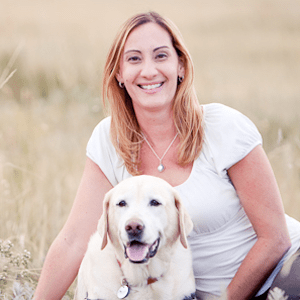 She is the owner of Beacon of Hope Dog Behavior and Training in the San Diego are and is also involved with Freedom Dogs, a local service dog group that specializes in providing dogs to soldiers wounded with PTSD. Steve Benjamin, KPA CTP, is a member of the Karen Pryor Academy Faculty. He teaches the Dog Trainer Professional program as well as Dog Trainer Foundations course. 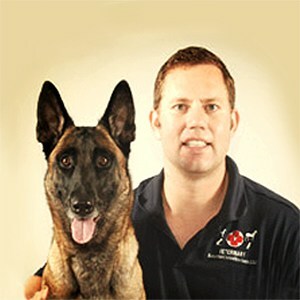 Steve retired from the federal government in January 2004 to pursue his passion for working with dogs and their owners. Steve hails from upstate NY where he owns the training center Clicking with Canines in Endicott, NY. Steve specializes in teaching clicker training to his clients, helping them teach their dogs to be socially acceptable, happy, and intelligent family pets. He teaches the Dog Trainer Professional program in upstate New York (spring/summer) and Florida (fall/winter). Sara Benton, KPA CTP, is a member of the Karen Pryor Academy Faculty. She teaches the Dog Trainer Professional program and is herself a graduate of the program. A fully qualified zoologist, veterinary nurse, animal trainer, and behaviorist, Sara Benton has more than 10 years of experience working with animals of many different species, from cats and dogs to bears and wolves. Sara earned a BSc Honours degree in Zoology before studying to become a veterinary nurse. Between university and veterinary work, she gained experience in many different places, including zoos, wildlife parks, general practices, charity clinics, and referral practices. 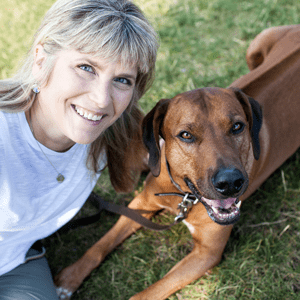 Sara ran Premier Paws Training Education, providing training and behaviour services to clients, as well as organising educational events for professionals and the public alike, for several years. Sara has recently returned to veterinary practice where she is a strong advocate for low stress handling and helping owners better understand their animals. Sara teaches the Dog Trainer Professional program in the UK and Western Europe. Shelly Brouwer, KPA CTP, is a member of the Karen Pryor Academy Faculty. She teaches the Dog Trainer Professional program and is herself a graduate of the program (2010). In addition to teaching, Shelly is a Course Developer for Karen Pryor Academy where she helps to develop new courses, and update curricula. Shelly has been training animals since 1999 when she began as a marine mammal trainer at the Dolphin Research Center in Marathon, FL. She has also served as a marine mammal trainer at the Mystic Aquarium in Mystic, CT, and at the Minnesota Zoo in Minneapolis and as the Training and Behavior Manager at the Humane Society of Boulder, CO. 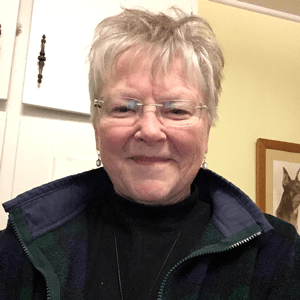 There, she oversaw the development and implementation of the Society's Behavior Modification Program for shelter animals and the public dog training classes. Alexis Davidson, KPA CTP, is a member of the Karen Pryor Academy Faculty. She teaches the Dog Trainer Professional program and is herself a graduate of the program. Alexis also coaches students in KPA's Dog Trainer Comprehensive course. Alexis established her business, Scholars in Collars, in 2002. Her primary focus is helping people understand dog behaviour, and showing owners how to teach their dogs to become well-mannered companions. Helix Fairweather, KPA CTP, is Member of the Clicker Expo faculty. She teaches both the Dog Trainer Professional program and the Dog Trainer Foundations course. She has been clicker training since 1996 and is committed to this way of communicating with dogs. Leanne Falkingham, KPA CTP, teaches and co-authored with Steve Benjamin the Shelter Training & Enrichment course. She is a graduate of the KPA Dog Trainer Professional Program (2008). Terrie Hayward, KPA-CTP, is a Karen Pryor Academy Faculty Member. She teaches the Dog Trainer Professional program and is herself a graduate of the program. Terrie also coaches students of KPA's Dog Trainer Comprehensive course. Laurie Luck, KPA-CTP, is a Karen Pryor Academy Faculty Member. She teaches the Dog Trainer Professional program and is herself a graduate of the program. 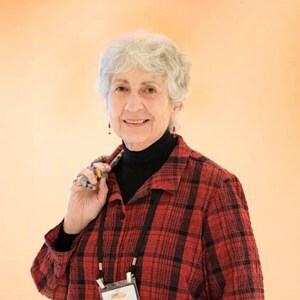 She served as President of the Certification Council for Professional Dog Trainers (CCPDT), and is a professional member of the Association of Pet Dog Trainers (APDT). Laurie is the owner of Smart Dog University and has been working with dogs and their owners since 1994. 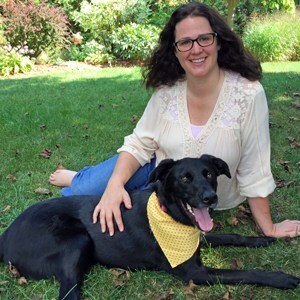 Lauries specializes in teaching dogs and their people how to work together. She loves what she does and has developed many happy friendships, both canine and human, along the way. When she is not teaching, Laurie raises and train service dogs for a nonprofit organization dedicated to providing service dogs to assist people with disabilities and has raised and trained service dogs for Hero Dogs, a charitable organization based in Maryland. 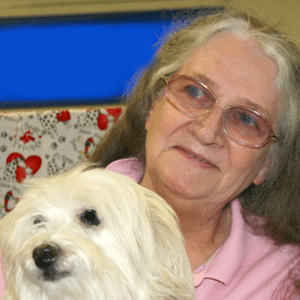 Laurie and her dog are Delta Society-certified Pet Partners. Tango is a therapy dog and we are involved in the Reading Education Assistance Dogs (R.E.A.D.) program, helping children to improve their reading skills. A social media junkie she can be found at all the usual hangouts and her Smart Dog Blog, Laurie is a also a regular speaker at the ClickerExpo conference. Laura Monaco Torelli, KPA-CTP, is a Karen Pryor Academy Faculty Member. She teaches the Dog Trainer Professional program and is herself a graduate of the program. In addition to her KPA CTP certification she is CPDT-KA, a TAGteach Level 2 Instructor, and Operation Socialization Certified Trainer (OSCT). 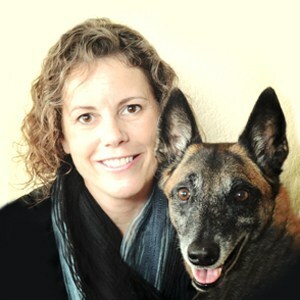 Laura is the founder of Animal Behavior Training Concepts. She and the company's training team work in collaboration with clients and animal health professionals to provide high-quality care for the animals in their lives. Force-free training principles and guidance are provided through seminars, interactive groups, and individual sessions. Laura is a a frequent speaker at the ClickerExpo conference on creating stress free veterinary procedures through positive reinforcement training. Emma Parsons, KPA CTP, is a Karen Pryor Academy Faculty Member. She teaches the Dog Trainer Professional program. Emma specializes in managing and rehabilitating the reactive and aggressive dog. 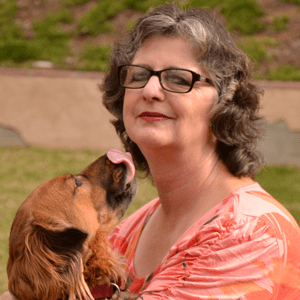 She is the author of two highly popular books on this subject: Click to Calm: Healing the Aggressive Dog; and Teaching the Reactive Dog Class: Leading the Journey from Reactivity to Reliability. In addition to being a faculty member of Karen Pryor Academy, Emma is a Faculty Member of the ClickerExpo conferences. Emma delivers Click to Calm seminars around the world, teaching others how to manage and rehabilitate reactive and aggressive dogs. Emma is also a Certified Dog Behavior Consultant (CDBC) and holds a BA degree from the University of Massachusetts Lowell. 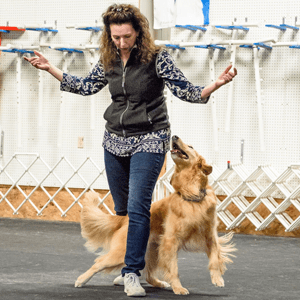 She shares her life with her husband, Greg, and their four clicker-trained competition obedience/agility dogs; three Goldens, Lizzie-Taylor, Kayden-Blue, Austyn-Roque, and a Papillon, Wylie-Rae. Michele Pouliot teaches KPA's Canine Freestyle course. Michele and her dogs are winners of multiple national and international competitions; they are known for creative behaviors and entertaining routines. Michele and Listo made history in the World Canine Freestyle Organization as the first team to ever receive perfect “10” scores in both Artistic and Technical categories! They repeated this incredible achievement 23 more times with six different routines. A trainer and consultant for nearly 40 years with a global clientele, Ken has trained and cared for tens of thousands of species. Ken is highly active in animal conservation worldwide working with organizations to protect species from butterflies to elephants. Prior to joining KPCT, he served as Executive Vice President, Animal Care and Training, at Chicago’s Shedd Aquarium. Ken is the author of a seminal book on animal training, many articles, blogs and scientific publications. A selection of his lectures is available on streaming video. Terry Ryan, KPA CTP, is a Karen Pryor Academy Faculty Member. She teaches the Dog Trainer Professional program. Terry founded Legacy Canine Behavior & Training in the early 1970’s with the goal of promoting humane and effective dog training techniques for a variety of pet, working dog and competitive applications. Laura Van Arendonk Baugh, KPA CTP, is a member of the Karen Pryor Academy Faculty. She teaches the Dog Trainer Professional program and is herself a graduate of the program (2008). Laura believes wholeheartedly in the ability of clicker training techniques to improve not only a dog's behavior but human interaction as well. She has a special enthusiasm for working with what others consider "over-the-top" dogs—dogs that are too energetic and too rambunctious to be controlled by conventional means! Lindsay Wood Brown, KPA CTP, is a member of the Karen Pryor Academy Faculty. She teaches the Dog Trainer Professional program and is herself a graduate of the program. 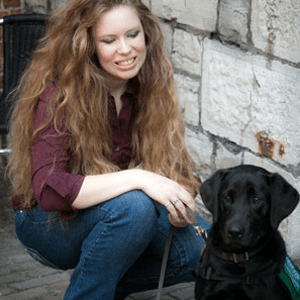 Lindsay is also a board-certified Associate Applied Animal Behaviorist (ACAAB) by the Animal Behavior Society and holds a Master's degree in Psychology with a concentration in Animal Behavior. Lindsay is a Course Developer for KPA and has served as a KPA Faculty member since 2012. Lindsay specializes in resolving behavior conditions with a focus on resource guarding, fearful behavior, and dog/dog incompatibilities. Lindsay has consulted for animal shelters on the design and implementation of behavior programs, effective modification methods for a range of behavior conditions, and development of robust operational strategies to achieve behavioral health within the shelter. Sherrie Yuschak, KPA CTP is a member of the Karen Pryor Academy Faculty. She teaches the Dog Trainer Professional program and is herself a graduate of the program (2014). Sherrie is the Veterinary Behavior Technician at North Carolina State University, College of Veterinary Medicine. Her current duties include supporting the Behavioral Medicine Service, collaborating on behavioral research, educating hospital staff regarding low-stress handling techniques, and teaching veterinary students about behavior. Sherrie is also a coach in KPA's Dog Trainer Comprehensive course. Sherrie's previous employment included small animal general medicine from 1997-2010. In 2011 she earned her VTS (Behavior). Sherrie graduated from Karen Pryor Academy for Animal Training & Behavior (KPA) as a Certified Training Partner (CTP) in 2014. Active in promoting behavior education, Sherrie previously served on the Board of the Society of Veterinary Behavior Technicians and is a member of their 2016 CE Committee. She is also a member of the Examination Committee for the Academy of Veterinary Behavior Technicians and Member at Large for the North Carolina Association of Veterinary Technicians. 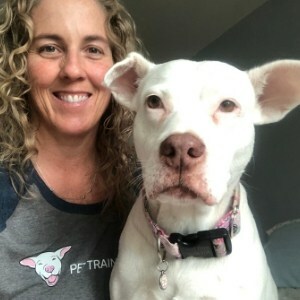 Other educational efforts by Sherrie include moderation of the message boards for the Veterinary Support Personnel Network and teaching an online program specifically for veterinary professionals as part of Family Paws Parent Education. All of Sherrie's endeavors place emphasis on strengthening the human-animal bond as a foundation to improve well-being.